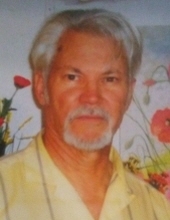 Mr. Harold Sanders, 78, of McCurley Rd., Hartwell, GA passed away Saturday, February 2, 2019 at his home. Mr. Sanders was born October 7, 1940 in Anderson, SC to John “Sib” Allen and Lilian Skelton Sanders. He was a U.S. Army Vietnam Veteran. He is survived by his wife of 50 years Emily Charlene Bobo Sanders; sons: Preston Forrest Sanders of Hartwell, GA, Jason Allen Sanders of Hartwell, GA, daughters: Jennifer Elaine Sanders Gaines of Hartwell, GA, Virginia Raylene Sanders of Hartwell, GA, siblings: Clayton Sanders, Leonard Sanders, Herman Sanders, Diane Broome and half-sister Ellen A. Bowen, grandchildren: Avery Dale Gaines, Abel Ray Gaines, Courtney Leanne Sanders, and a great-grandchild: Chloe Craven and several nieces and nephews. In addition to his parents he was preceded in death by a sister Ruby Nell Sanders. Memorial services to celebrate his life are incomplete at this time. Berry Funeral Home & Crematory of Elberton is in charge of the arrangements for Mr. Harold Sanders. To send flowers or a remembrance gift to the family of Harold Sanders, please visit our Tribute Store. "Email Address" would like to share the life celebration of Harold Sanders. Click on the "link" to go to share a favorite memory or leave a condolence message for the family.